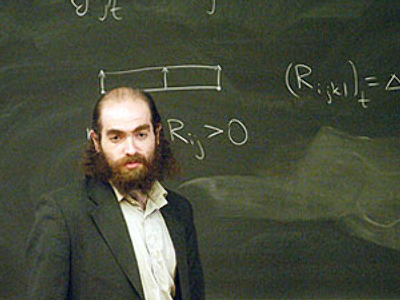 Grigory Perelman, the mathematician who rejected a US$1 million prize for proving the Poincaré conjecture, has allegedly given a rare interview for a documentary about the present state of his chosen field of science. Russian tabloid Komsomolskaya Pravda says it contacted the producer of the film, Aleksandr Zabrovsky, who explained how he managed to interview the reclusive scientist. Perelman is well-known for his aversion to media. After his controversial decision to reject the Fields Medal and the Millennium Prize, some journalists stalked him and speculated that he must not be of sound mind to do so. Zabrovsky, who works in Israel, got in touch with Perelman’s mother Lubov through the Jewish community of St Petersburg. She approved the request and asked her genius son to talk to Zabrovsky. The two-hour interview focused on the nature and ethics of modern science, the competition and cooperation between three leading mathematical schools – China, the US and Russia. “He is a very interesting person to converse with. He liked my interest in problems of scientists in general, all over the world, rather then in his personal life,” Zabrovsky told the newspaper. He describes Perelman as a very rational, practical and determined man with a bit of sentimentality in his character. He knows very well what he wants and how to reach his goals. He has a passion for knowledge and always keeps in mind that mathematical achievements always have practical applications. “Where technology creates new machines and devices, mathematics creates their analogues – logical methods for analysis in any field of science. Every mathematical theory, if it’s strong, will sooner or later find an application,” Perelman said in the interview. Perelman’s indifference to the prize partially comes from this attitude to science. “I have found a way to calculate caverns; together with my colleagues we are studying mechanisms for filling social and economical caverns. Such caverns are everywhere. 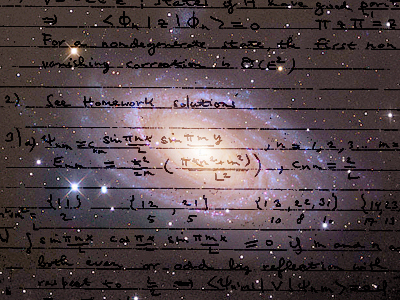 They can be calculated and it opens great possibilities… I know how to control the universe. Now tell me, why would I run after that 1$ million?” the mathematician explained. Speaking more personally, Grigory Perelman recalled how he had a moment of tough decision-making back when choosing what education he wanted.